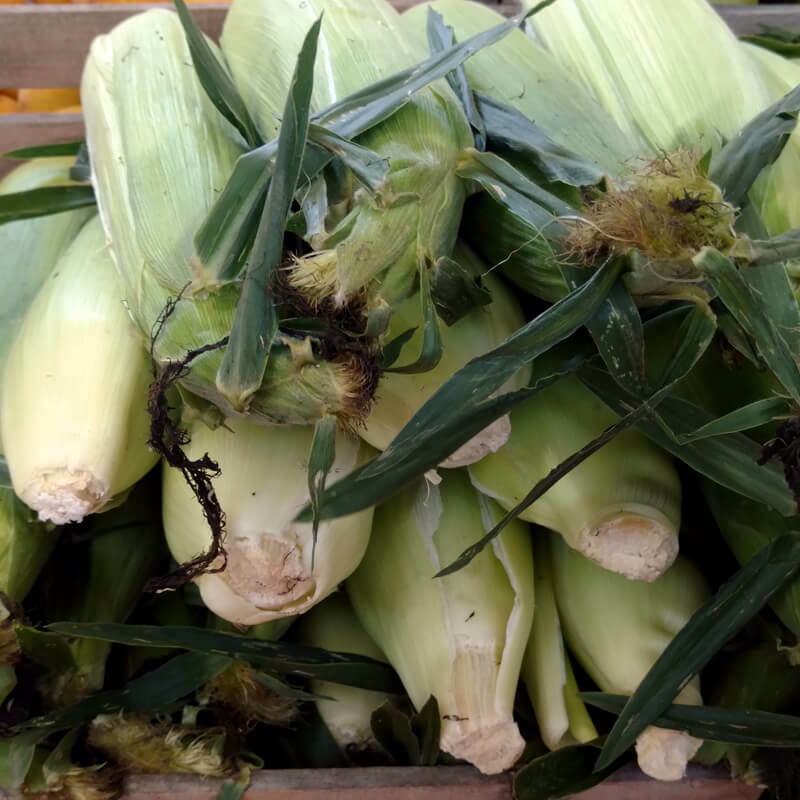 We have corn for real this week — that is, we’ll have it all weekend, and in enough quantity that there should be no problem getting it even on Saturday. It’s from the same Mifflintown farm as last week — Titus Petersheim — and while we didn’t get to try any last week because it went so fast, reports from those who did get some were that it was excellent. So while I was with my family this evening, Dusty sampled it to “make sure it was good”. Verdict: it’s very good. Sweet, he says, but not too sweet, flavorful, and incredibly tender. So tender. And so I’m very glad that it’s now bountiful enough that despite missing tonight’s tasting, I’ll get to have some for dinner tomorrow night. You should, too! P.S. Happy 41st wedding anniversary to my wonderful parents!